I've had the same reaction to this bar twice in a row, both times in blind tasting, so I figure that's a pretty good indicator that we have a fairly stable relationship so far. My assistant (read: my daughter) brought me a piece of the bar to taste, sight literally unseen, and I sat in my ultra-sophisticated sensory-modulated tasting space (read: my closet) to taste who-knows-what. I put it in my mouth and took a couple of chomps to break it up a little. The flavor was a little slow in developing, so I was afraid a blandness would set in, but the instant that whiff-of-a-thought entered my mind, it was supplanted by a strong wave of complexity and flavor that filled my entire head with a deep, rich, ruddy, interesting melange of intensity. Strong, bold notes of vanilla, red juicy fruits, pipe tobacco and tang danced off of one another until they eventually swirled away into a lingering finish of caramel and coffee which stayed with me for many minutes after the initial tasting. It was a fearless new symphony of Guatemalan soul packed into a single bite, and it was no surprise when the identity of the bar was revealed to me as the same bar that I'd blind tasted months before at the Northwest Chocolate Festival and that had sent me scrambling to snap up a bar for my personal collection. It was love at first bite. 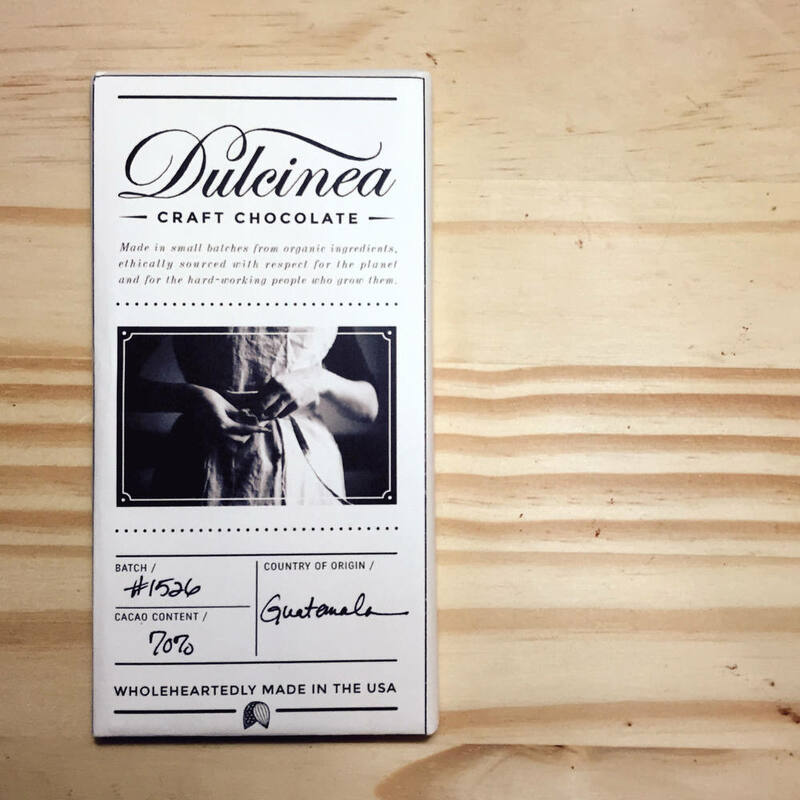 Dulcinea Craft Chocolate, a new maker to the craft chocolate scene out of Pennsylvania, has a vibe that really drew me in. Every maker has a story, and it almost inevitably comes down to a surprise, passionate encounter with good chocolate. 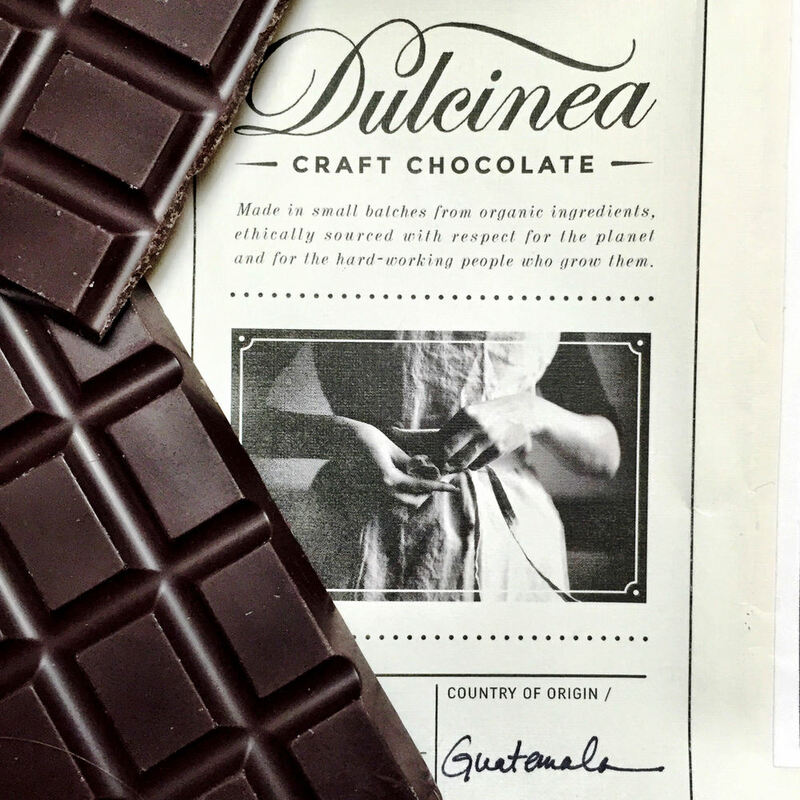 In the case of Dulcinea, that encounter centered around making tiny batches of homemade chocolate in their kitchen, which evolved quickly when magic struck. We all dream of that kind of magic, don't we? But what drew me to Dulcinea initially wasn't their story, but the story their chocolate told. Visit them at www.dulcineacraftchocolate.com. Personal Preference love, love, LOVE it! meh.